Girl Charlee Fabrics UK & Europe: Knitriffic Blogs: Very Kerry Berry/Kerry Green, plus Back in Stock Fabrics! 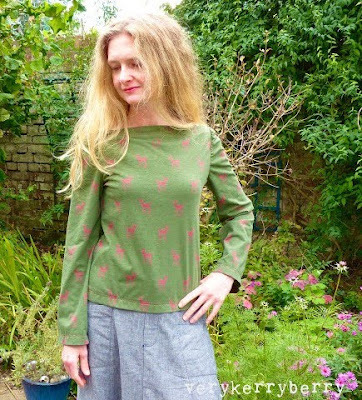 Knitriffic Blogs: Very Kerry Berry/Kerry Green, plus Back in Stock Fabrics! This month we are proud to feature the blog Very Kerry Berry and the amazing Kerry Green. I was always creative- my primary education was totally focused on creative expression and the things I loved then- drawing, music, calligraphy, textiles, sewing, I still enjoy now. I worked as a primary school teacher for a few years and I still teach now but instead I run music classes for children 0-4 years. I studied for a BTEC HNC in fashion in my late 20s whilst still working in a school as my dream of being a fashion designer and work in textiles. This gave me some great experience in garment sewing and the very basics of drafting sewing patterns. Through a work contact of my sister, I did have a very brief spell designing knickers for a clothing manufacturing company- I did a presentation to the buying team at Topshop that was very nerve wracking and not successful - I was all about fabric and design and they were all about the bottom line! I have a lovely supportive husband and daughter who are happy to have lots of homemade stuff in their lives. The explosion in online fabric shopping, especially quilting and quilting cottons in the late noughties blew my creative mind! So much was out there that I’d never even seen before and coupled with the Flickr community and meeting likeminded sewers all over the world, I started a blog to record the journey. “Kerry Berry” is what my husband calls me so Very Kerry Berry was just an extension of the rhyme, things often work best in threes! 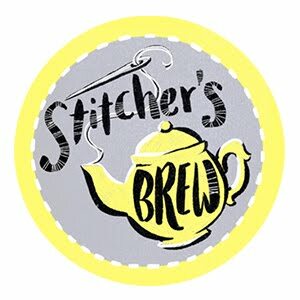 How long you have been sewing/ blogging & what are your plans for the future? I’ve been sewing since I was very young- around 6 or 7 years old. My mum is a great sewer and she taught me. 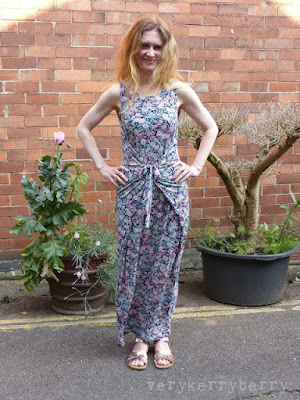 I was an enthusiastic upcycler in my teens- I lived in a village with little access to shops so I would convert any old clothes from my parents into something for myself and bought fabrics and sewed up shirts and dresses from modern (1980s) and vintage (1960s) patterns. I tried out lots of vaguely entrepreneurial ideas as teenager- knitting and selling mohair jumpers, t-shirt painting etc. 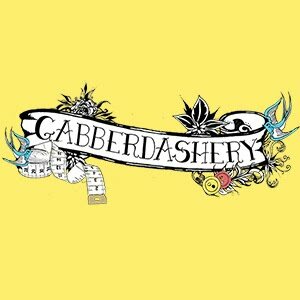 I remember sewing an off the shoulder evening dress with boned bodice and a fishtail chiffon skirt at Uni for a debauched evening of cocktails at an English Society event. When my daughter was born, I enjoyed making clothes for her and even though she is now 16, she is still happy to have things made for her. I now make most of my clothes and I’ve started to experiment with sewing lingerie. 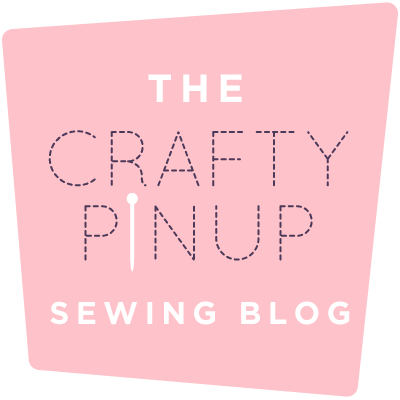 I began blogging in 2010 when I discovered online quilting. I’ve never been a huge planner, I like to make sure that I’m happy what I’m doing and then see where life takes me and I am wary of making something that I love my sole job. 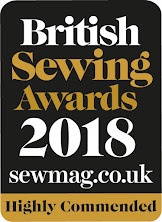 I had no idea that blogging would lead to so many friendships, co-authoring a book (500 Quilt Blocks with Lynne Goldsworthy) and writing a monthly column for Sewing World magazine. Blogging has changed a lot in this time and whilst I enjoy the Instagram community and other social media, I still love blogging; you can’t beat it for detail. It’s a cliché but I’ve always loved vintage. I used to go to flea markets with my dad when I was very young- I liked the dolls and any old advertising paraphernalia. I still love these things now and vintage fabrics, clothes and aesthetic influences my aesthetic today. I don’t like too much fussiness in clothes or quilting so a clean finish is my preference- and freedom of movement without restriction is also a priority for me. I like being able to make things just as I want them- made out of great quality fabrics, preferably natural fibres. They fit well and last a long time and are practical to use whether it’s a machine sewn binding on a quilt that can withstand washing and daily family use or a maxi skirt with massive pockets. I really dislike cutting out knit fabric! I love sewing knits- they are so quick and the fit is forgiving, but laying out the fabric and getting the grain straight or lining up stripes on jersey takes time! In my early days of blogging and Flickr groups, I was lucky enough to meet Penny Layman of Sew Take a Hike and Ayumi Takahashi of Pink Penguin and through them I became part of a quilting bee group called Ringo Pie along with British quilting blogger Lynne Goldsworthy. It was such a talented group of sewers, Lynne and I were constantly pinching ourselves at the start, we couldn’t believe we were a part of it! Many of that group went on to write books, design fabric lines and pattern and become great friends. I've made some lovely undies from the Coral Peach Floral on Slate Grey, inspired by Sarah of Ohhh Lulu. The Coral Cotton Spandex is great for basics and this colour works well for me. I love the colours in the Sparrows in the Woods Cotton Jersey. 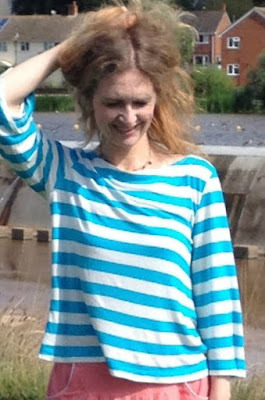 I may not like cutting stripes but I do like wearing them and I love the turquoise in this fabric. 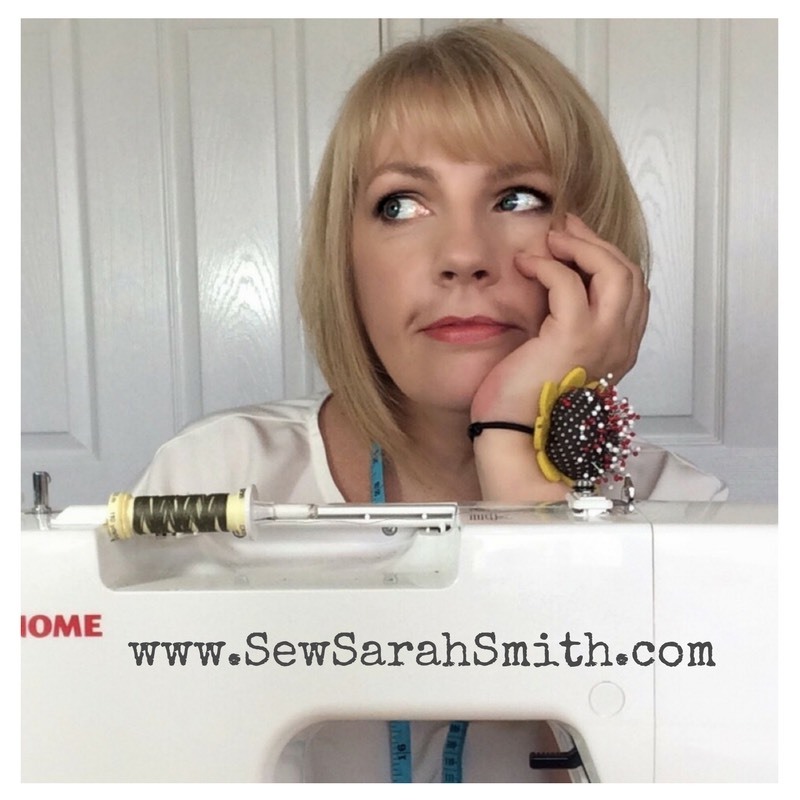 Thanks to Kerry for her time, her recent guest blog (if you missed it check it out here) and of course her own blog Very Kerry Berry. If you haven't visited her blog do it now, it's brilliant, insightful, educational and fun! 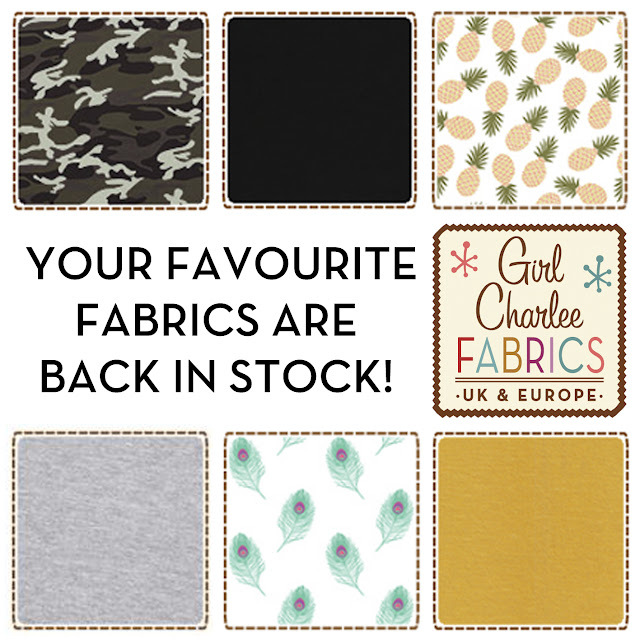 Some of our most popular fabrics are back in stock - Yay! Click the image below to be taken straight to our New Arrivals Page where you can see these classic favourites, with lots of other exciting new fabrics to be added over the coming weeks!